“He nods upon his bed, beside himself so numb. Gerry Griffin shines like a star. It’s the lyrics in this album that draw you in, to a songwriter heart who has lived some, survived and continues to tell the tale of where he has come from, and where he’s going. I love the honesty felt as the lyrics present a microscopic view into the psyche of someone who has dared to love through it’s imperfections and one who can uncover the essence of what it is to participate in human relationships. He’s mining gold out of the bumps and foibles of the human experience. I hear genuine emotion in the voice, a story teller who captivates the listener and draws them into a musical world of a fighter, a melancholy silver lined beauty and of a realist. The use of rhythmic device and varied scales presents a grooving minimalist production which draws you to the voice and the words. It reeks of humanity. The road worn vocals pull like tides stretching over oceans of experience. The supporting music of Heather Houston, provides just the right foil for the precious oils offered almost like a sacrifice in this great recording. The melody twists and winds together like comfortable vine growth between the two artists. I love the track “The Fixer” the soundscape draws you into the vibe of an eastern bazaar, while at the same time, has a brave and revealing melancholic edge to the voice. Followed by “chasing the dragon” it is perfect placement. 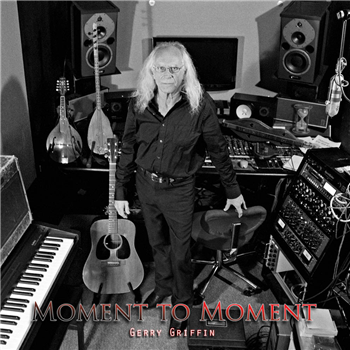 Gerry Griffin, in my estimation is one of the best songwriters in Canada. Catl. Soon All This Will Be Gone.